Where are you from? What is your connection to the South Shore/Pembroke? 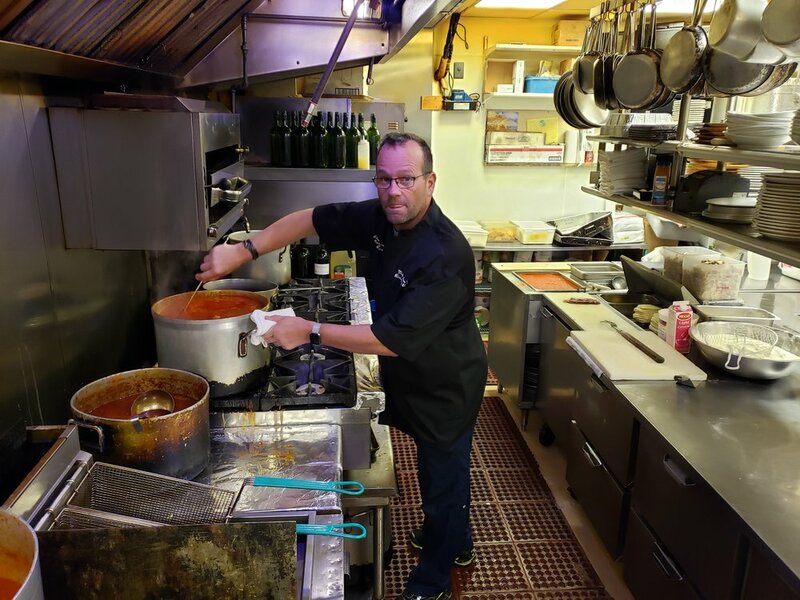 I started my restaurant experience at my uncle’s restaurant, La Scala in Randolph, as a busboy! I moved to Scituate with my family about five years ago. How did you come to open the restaurant in Pembroke? I’ve been involved in Mother Anna’s in the North End for almost thirty years. I moved to Scituate several years ago and have been looking for a place to open a Mother Anna’s down here, and this space opened up. The rest is history. What are your favorite foods, and favorite things to make? Honestly, we love making all the dishes on our menu. From classics like chicken Marsala, right up to steak pizzaiola. What should diners know about Mother Anna’s? There are probably 100 restaurants in the North End, and not one of them cooks food like we do at Mother Anna’s. It’s unique, it’s stood the test of time like no other. The style of cooking that worked 80 years ago is still working today. What is your food/dining out philosophy? Our philosophy of cooking is taken from many, if not all the regions of Italy. My grandmother loved to take ideas from all over the country, but if I had to say one I’d probably say central Italy. Of course times change so we do prepare more modern dishes as well, but we find people like both the old and the new dishes equally. What can first-time Mother Anna’s diners expect? I think people are going to love their dining experience at Mother Anna’s here in Pembroke. It’s a unique experience. The name gets people to come out to our restaurant, hopefully the food gets them to come back.